Disney World has created an impressive line-up of Endurance Races ranging from 5K up to marathon as part of its Disney Endurance Series. 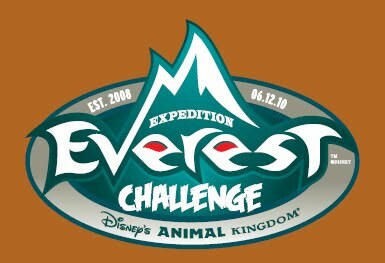 The Expedition Everest Challenge, which returns to Disney's Animal Kingdom on June 12, 2010 is certainly the most unique 5K Race that you will ever hear about. 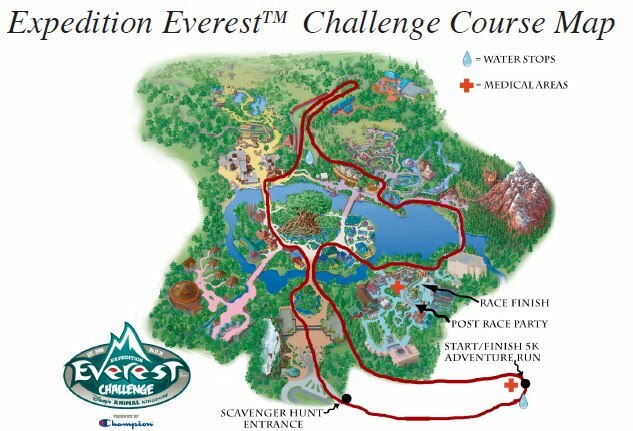 The Expedition Everest Challenge is certainly unique. Besides the obvious attraction of running a 5K race through the Animal Kingdom Theme Park, the Disney race planners have added some exciting elements that make this night race anything but ordinary. The first part of the Challenge is to run a 5K Race as an individual or as a 2 person team, but the 5K race course is filled with obstacle challenges to overcome. The course starts in the parking lot of Disney's Animal Kingdom, but soon enters the front gate area of the park. Participants will run towards the Tree of Life and then make a right hand turn into Dinoland U.S.A. They will continue past Dinoland and continue past the base of Expedition Everest. The course continues through Asia and then follows the train to Rafiki's Planet Watch Area before looping back and heading into the Africa section. The return loop takes them past the Tree of Life again and out the front gate back to the parking lot and the start/finish area. All along the running course the runners will find challenges and obstacles to overcome. This is where having a team mate can come in handy. Once crossing the Finish line, they continue to the next phase of the Challenge: The Scavenger Hunt. Here each team is given a clue. The successful completion of following the clue leads to another clue, and so on and so forth, until finally completing the last challenge and ending up in Dinoland U.S.A. Participants and their guests will have the Animal Kingdom park to themselves after the race until 1:00 AM in the morning to enjoy Expedition Everest, Kali River Rapids, and the Dinoland U.S.A. attractions. Unique Event - All Disney! This event is more about having fun than anything else. Most people participate for the fun of the challenge as opposed to the challenge to win. Just participating and completing the challenge is considered victory to most. If you are going to run an endurance race, why not run it in "The Happiest Place On Earth." Good luck to all of the 2010 participants. During 2009 the weather was not cooperative, so we also send along wishes of good weather for this year's event. 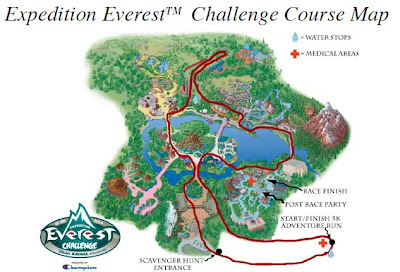 0 comments to "Disney World's Expedition Everest Challenge Is Not Your Typical 5K Race"